At Charlie’s Hamburgers in Folsom, Pa., fourth and current owner Steve McDonald still makes the patties the way they’ve been made since the restaurant opened in 1935. FOLSOM, Pa. — On the same suburban block in a town west of Philadelphia there are two joints that specialize in old-time burgers. The first, with checkerboard patterns and lacquered red seats, aims to re-create the food and feel of the1950s. The second is a spare, white-painted shack with no room for a fryer. Charlie’s Hamburgers has churned out burgers since 1935. It’s a living relic of the ’50s. This isn’t the place to come for a burger topped with an egg or grilled ramps, for burgers served on brioche, or fashioned from high-grade beef. What’s surprising about Charlie’s is not that Steve McDonald, the fourth and current owner of Charlie’s, stays true to the recipe and philosophy of founder Charles “Charlie” Convery, but that the $2.95 burger is so good. The thin, coaster-sized burger at Charlie’s comes on a grease-slicked bun and, if you want all the fixings, you ask for it “loaded.” There may not be a better burger in all the land. 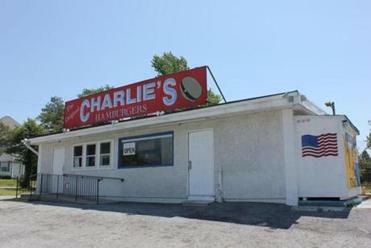 From the road, a passerby could mistake Charlie’s for a small house if not for the parking lot and sign painted in red, white, and blue. Enter through the front door, and you’re right at a cash register, ready to order. Charlie’s has always been a warm place with a blue-collar mindset. In 1966, when Steve McDonald was 11, his father, Bernard “Bunny” McDonald, was Convery’s manager. Steve McDonald recalls a fateful gift he received from his father. “I asked my dad for a bicycle,” says the son. 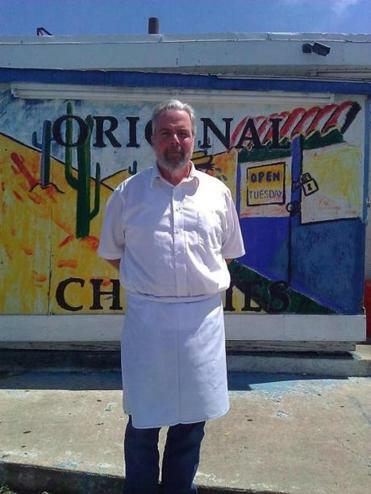 “I got an apron.” Steve has worked in Charlie’s ever since. He still mans the grill. Beef patties sizzle and splutter on the slick right flattop, and buns, some weighed down by a plank, toast on the left. You sit and wait at one of the 20 royal blue stools at two counters that flank the cooking area, which takes up half the room. Gaze at the staff’s ballet of scraping, clacking, flipping, milkshake-making, and chatter, or watch cars out the front window. “Lettuce is not an essential ingredient in a hamburger,” says McDonald. You want ketchup, mustard, relish? Choose, and a cook will spoon condiments onto your patties, crown them each with a bun top, and hand you the plate. 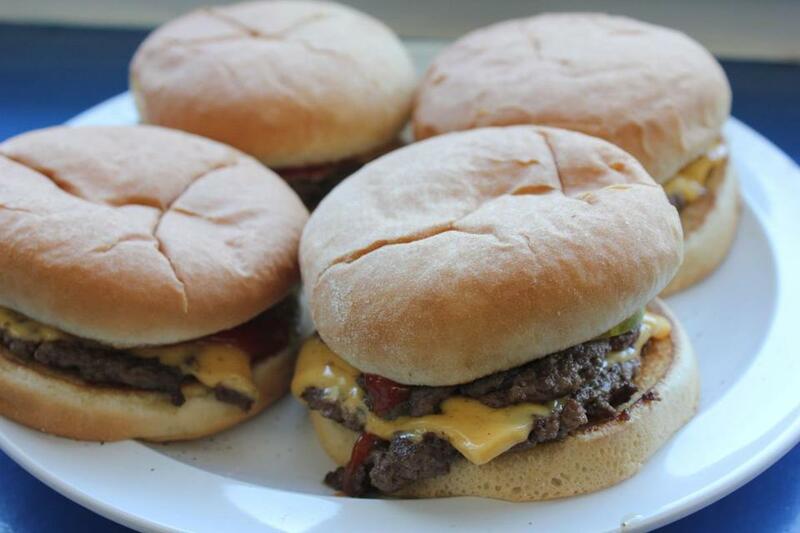 (Three or four of the diminutive burgers are enough for a hungry diner.) Return to your stool, but not before ordering the black and white milkshake. Shakes, made with scoops of Bassetts Ice Cream, a shop in Philadelphia that dates to 1861, provide refreshing coolness between bites of burger. “Nothing has changed in all these years,” says Peggy Bell, who has worked at Charlie’s for a quarter century. She adds: “Except for the location.” In 1986, when the state needed to widen Woodland Avenue, Charlie’s moved down the street. A few bites into the burger and newcomers cannot help but trade knowing nods with the regulars. Perhaps the secret is in the meat-to-cheese ratio. Charlie’s tops wisp-thin patties with thick, sultry slices of American-style cheese that employees hand-cut from a block. There is almost as much cheese as burger. Perhaps the secret lies in texture. A Charlie’s is a masterful mix of a soft bun with a just-crisp underside, molten cheese, and succulent beef that seems to dissolve. Perhaps the secret can be traced to the blurry space the burger occupies somewhere in between gourmet and fast food. A Charlie’s burger, grilled to order, is ready in a little over one minute. That’s fast. The burger pierces with nostalgic barbs, conjuring up the images of drive-thru meals the way they used to be. Yet the burger melts on your tongue like a marbled rib-eye. The meat has no special pedigree, the cooks are everyday people, and the room, which could use a coat of paint, has only two tiny grills for heating up food. What makes the greasy joint great? Well, she is right too. 336 Kedron Ave., Folsom, Pa., 610-461-4228.